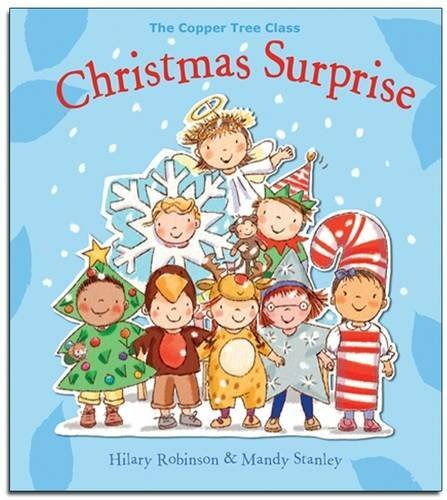 This title is the second in ‘The Copper Tree Class’ series and shows the children planning for and making a visit to the local care home at Christmas. One of the children, Rupal, has parents who work in the home and when her mother suggests the visit, the children are excited at the possibility. Everyone has good ideas about what to do and Alfie Tate, the class character, even comes up with a real donkey to take along. We see interaction between the old and young in completely natural ways and the enjoyment of the occasion is mutual. My only caveat is that the supposed ‘retired’ working dogs (two huskies and a Labrador) that live in the care home appear to be puppies! Other than that, the pictures are a jolly amalgam of messy school life, chubby, cheerful children, bright colour, and happiness. This cheerful book will certainly encourage the understanding of the elderly by the very young.